Nassau, Bahamas - The BIBA recognizes the best in Bahamian entrepreneurship honoring business owners of integrity and businesses that have had the greatest positive impact on our communities. Nominees must be Chamber members and cannot nominate themselves. 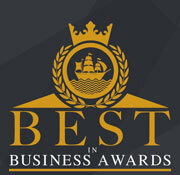 Winners are selected by a committee based on criteria such as the uniqueness of the business model and level of positive impact on the community. The 2014 awards will be presented on Thursday, October 30th at the Sandals Royal Bahamian Ballroom in Nassau. Categories include: Lifetime Achievement, Male Entrepreneur of the Year, Female Entrepreneur of the Year, Best New Business of the Year, Business of the Year, Male Executive of the Year, National Employee of the Year, SME Business of the Year, Young Professional of the Year, Best Place to Work - Employer of the Year, Female Executive of the Year, Best Customer Satisfaction, Most Socially Responsible Business, Woman of Influence Award, Most Innovative Business and Learning Organization of the Year.